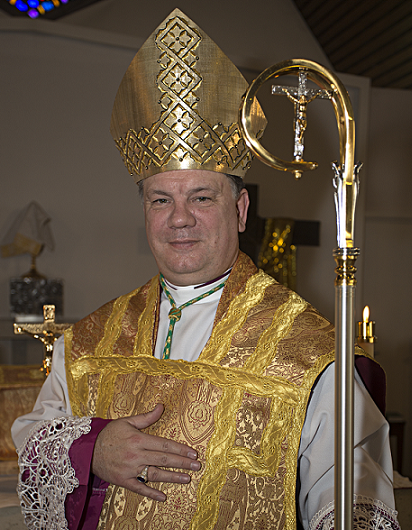 The Most Reverend Martyn Douglas is the Superior General of TESSAC and Bishop of the Diocese of Hamtun, based in Southampton. He has over twenty years experience in parochial ministry. Bishop Martyn trained for the Anglican Priesthood at St. Stephen's House, Oxford from 1985-1988. Bp. Martyn was originally ordained in Winchester Cathedral in 1988. His orders were regularised (sub conditione) in September of 2009 by the Right Reverend Robert McBride and possesses valid, Old Catholic and Roman Catholic Lines of Succession as well as Greek and Russian Orthodox. On Saturday 31st of October 2009, the Right Reverend Robert McBride consecrated Bishop Martyn to the Episcopate. Bishop Martyn also looks after the training needs of ordinands and the post-ordination training of the clergy. 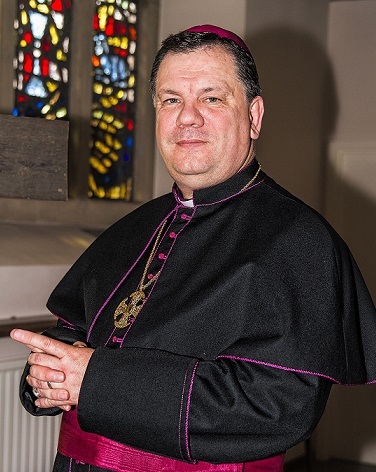 Bishop Martyn has an extensive funeral ministry in the local area, covering from Southampton, Winchester, Basingstoke, Wimborne, Poole, and surrounding areas..
Bishop Martyn enjoys photography, reading, walking the dogs, and at weekends a nice glass of red wine! Bishop Martyn has a particular devotion to St. Francis, and has an ambition to travel to Assisi one day to see the church St. Francis re-built. The real Francis was a high-spirited and rather wealthy young man, on the road toward economic success and military glory. He renounced it all to follow the gospel. The ideas and values that he personified - simplicity of life, nonviolence, humility, love of the creation, are worthy ones for us all to follow. Bishop Martyn offers an Independent Ministry. We believe that the main stream churches alienate so many different people. Whoever comes to our church will be welcomed, whatever their background, race or sexual orientation. We are not here to judge individuals, but to accept them as they are. Individual spiritual growth is offered. We offer worship in the Catholic Tradition, and are Orthodox in our teachings about Our Lord and Saviour Jesus Christ.